Radio Suno 91.7 Qatar Malayalam radio Station live Streaming Online . Listen 50 Malayalam radio stations Online . 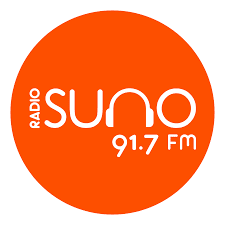 Radio Suno 91.7 first Malayalam FM channel to be aired from the State of Qatar . It aims to provide the best of information, entertainment and music to the South-Indian diaspora. Radio Suno 91.7 FM has created a milestone in the history by being the first Malayalam FM channel to be aired from Qatar. Adress : Al Ezz tower 3, Al Safiliya Street, Corniche road Doha, Qatar .